Missouri Nurses demonstrated how personal party affiliation can be set aside in this year’s mid-term election. Both Republican and Democrat nurses came together last night in support of Dr. Robert (Bob) Stuber. They, better than anyone, know that it is not about the party this year; instead it is about the critical issues affecting the healthcare and safety of our citizens. Last night many volunteers participated in a phone bank in support for Dr. Robert (Bob) Stuber as the candidate to elect for Missouri Senate district 34. This district includes both Buchanan and Platte counties of which Parkville, Platte City, and St. Joseph Missouri are located. There was an amazingly strong turn-out of nurses holding advanced degrees, volunteering their time in making calls to constituents of the 34th district; and it’s no wonder considering Dr. Bob is a strong advocate of the nursing profession. He understands the need for Missouri to offer qualified heath care providers to our citizens. He knows first-hand how poorly Missouri ranks (47th compared to other states in the nation) in its ability to get access to care to its rural population and is willing to do something about it. Dr Stuber is a Democrat, and supports issues such as Medicaid Expansion and the Prescription Drug Database. Missouri is the only state in the country that does not monitor prescriptions for narcotic drugs. As a result we’ve become a haven for prescription abuse. The opponent incumbent Sen. Robert Schaaf led the effort to prevent monitoring these prescriptions. Most realize, this race is not a fight between Republicans and Democrats, as both parties were heavily represented last night. 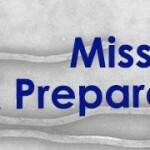 It is a race to improve our ranking in access to care and provide a safe environment in which to carry this out. 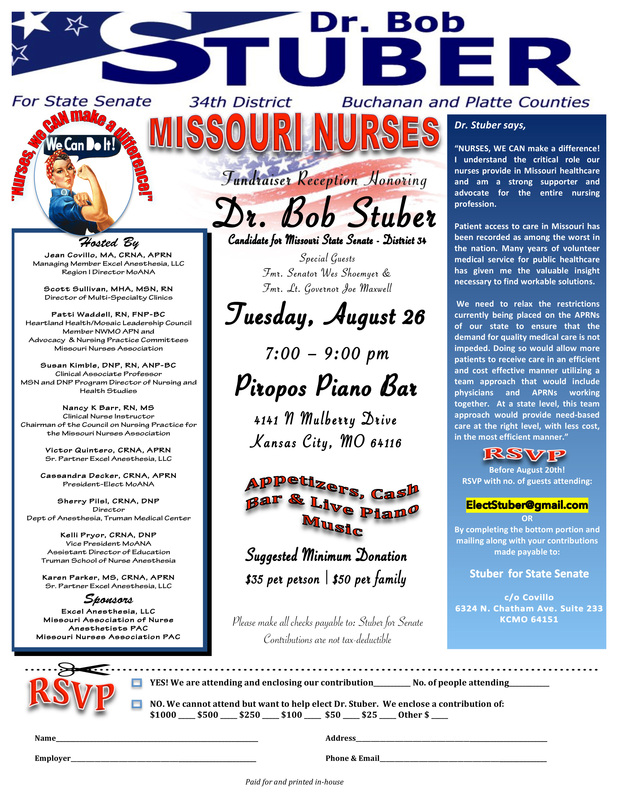 As nurses we believe Dr. Bob Stuber is just the candidate to get this done and we are having a lot of fun getting the word out. Over 600 calls were made and I was very encouraged at the number of Missourians willing to take the time to discuss and learn more about these important issues. We were very respectful of the timing of our calls and waited until after the Royals won their final game! A big thank you to all those folks who answered our calls and to those who showed up and assisted in making this a very productive evening.